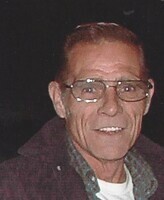 Provide comfort for the family of Fred Deming with a meaningful gesture of sympathy. AVON - March 20, 2019 at age 72. He is survived by his loving wife of 28 years, Judy (Close) Deming; sons Michael Deming of Canisteo, NY, Richard (Kim) Deming of Mt. Morris; stepchildren Wendy Preston, Tammy (Phil) Schultz, Holly Preston, Jerry (Michelle) Preston, II; sister Bonnie (John) Gibson; brothers David, Jerry Deming;13 grandchildren; 9 great grandchildren; several nieces, nephews, aunts, uncles, and cousins. Fred was an Army veteran of the Vietnam War. A member of the Harrison-Lee American Legion Post # 283. Family and friends are invited to call Saturday, March 23, 2019 from 4 – 6 PM at the Stephenson-Dougherty Funeral Home, Inc. 350 Genesee Street, Avon where his Funeral Service will be held following calling hours. Monday at 11 AM his graveside Service will be held at East Avon Cemetery, Avon. In lieu of flowers Memorials may be made to the Harrison-Lee American Legion Post #283, 3850 Federal Road Livonia, NY 14487. Interment will take place Monday, March 25, 2019 at 11 AM. Military Honors will follow the graveside service.